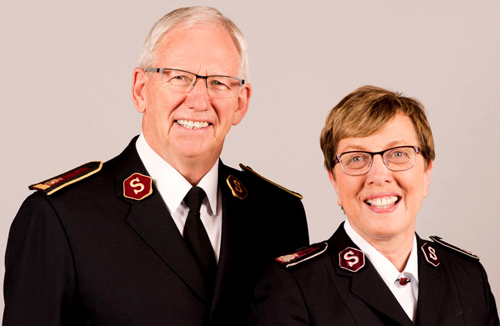 Commissioned and ordained as a Salvation Army officer in 1977 as a member of the Companions of Christ Session, General Brian Peddle has served in partnership with his wife, Commissioner Rosalie Peddle, since their marriage in 1978. Initial service in his home territory of Canada and Bermuda, included corps, divisional and training college appointments. The General’s first international appointment was to Auckland, in the New Zealand, Fiji and Tonga Territory, as divisional commander. He was transferred to territorial headquarters in the United Kingdom with the Republic of Ireland Territory to serve as chief secretary, with the rank of colonel. A return to the Canada and Bermuda Territory followed in 2011, to take up leadership as territorial commander, with promotion to the rank of commissioner. 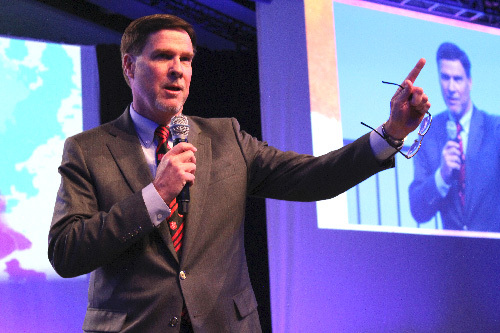 Service at International Headquarters initially came on 1 September 2014 as International Secretary for Americas and Caribbean, prior to his appointment as Chief of the Staff on 1 November 2015. It was on 25 May 2018 that Commissioner Brian Peddle was elected as the 21st General of The Salvation Army, to assume office on 3 August that same year. Outside of his ministry, the General enjoys kayaking, cycling, hiking and fishing. The General and Commissioner Peddle have two daughters, Stephanie and Krista, as well as five grandchildren. 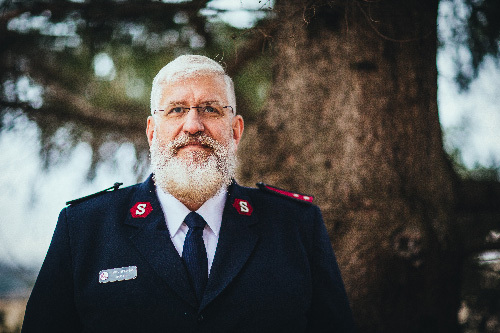 The General has a strong sense of calling as a Salvation Army officer, fueled by his conviction that God continues to use The Salvation Army to impact the world. The General and Commissioner Peddle are convinced of their responsibility to preach the gospel, encourage the saints and serve those in need. 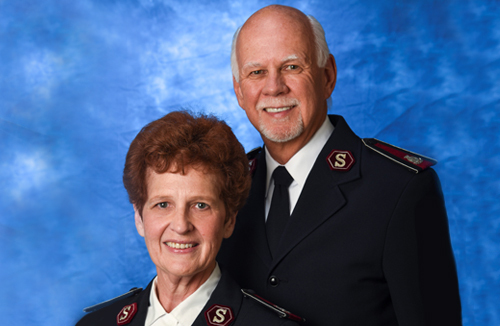 Commissioners David and Sharron Hudson have been officers in The Salvation Army for 42 years. Commissioner Dave is currently the National Commander. Commissioner Sharron is the National President of Women’s Ministries. National Headquarters is located in Alexandria, Virginia. Prior to coming to National Headquarters in November 2015, Commissioner David was the Chief Secretary for the Western Territory and Commissioner Sharron was the Territorial Secretary for Women’s Ministries in the Western Territory, located in Long Beach, California. They have a wide range of experience as Salvation Army officers, including several territorial and divisional appointments. The Hudsons were corps officers (pastors) for 14 years, including appointments in Oregon, Idaho and Southern California. David has Business Management degree and a Master of Science Degree in Organizational Leadership. Sharron has a Masters Degree in Christian Leadership. They have been married for 41 years and have two daughters, Jennifer and Amy, as well as two grandchildren. Promotion is based on length of service, character, efficiency, capacity for increased responsibility, and devotion to duty. The ranks are lieutenant, captain, major, lieutenant colonel, colonel, and commissioner. The international leader holds the rank of general and is selected by a high council of active-duty commissioner and territorial commanders. 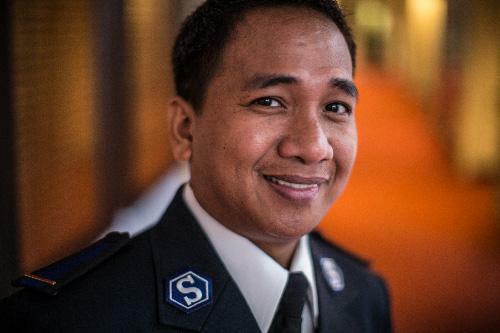 Salvation Army officers must devote full time to Army work. An officer who marries must marry another Salvation Army officer or leave his or her officer status. Married captains and majors will individually carry the rank applicable to their own length of service, not that of their spouse. In case of married officers, the conferred ranks of lieutenant colonel, colonel, and commissioner will be held jointly. As ordained ministers of the gospel, they are authorized to perform marriage ceremonies, funeral services, and infant dedications. They also provide counseling and consolation to the bereaved. The soldiers of The Salvation Army (wearing blue epaulets), the committed laity, are local citizens in communities throughout the U.S. who give allegiance to the doctrines and disciplines of the Army. There are approximately 450,000 soldiers in the United States. These soldiers may take on volunteer responsibilities in the congregation or help in the Army's social service outreach. Many soldiers give valuable service in directing and leading youth groups in character-building activities. Many take part in the Army's musical programs and teach young people to sing and play. As a valuable means of service to the community, soldiers visit the sick and lonely in hospitals, nursing homes, and correctional institutions. Social service programs are enhanced by the commitment of soldiers who often give their time in the Army's basic ministries of shelter and food provision. Soldiers abstain from the use of alcoholic beverages, drugs, and tobacco. Trained and qualified soldiers are appointed as "local officers." This corresponds to a non-commissioned officer in the armed forces. Other members of the congregation are adherents who participate in church activities but have not signed on as soldiers. Adherents may take on some lay responsibilities, such as teaching Sunday School classes. From its inception, The Salvation Army has relied heavily on volunteers who support its programs. Often referred to as "the army behind The Army," volunteers play a crucial role The Salvation Army's ability to provide quality social services for the entire community. 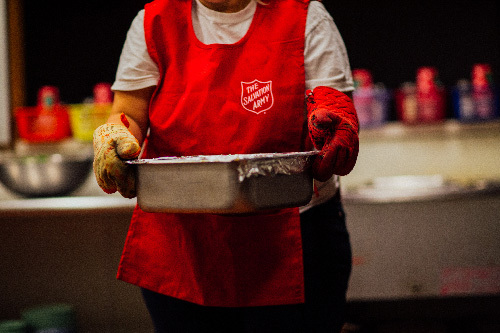 Volunteers are valuable assets in The Salvation Army's efforts to meet the changing needs of our world. Through the skills and experience they bring to The Army, volunteers make significant contributions to society by positively impacting the lives of those they assist. Salvation Army volunteers change lives, uplift families, and support communities throughout our nation every day. Thank you for exploring the many opportunities to help those in need and enhance your community as a volunteer within The Salvation Army.